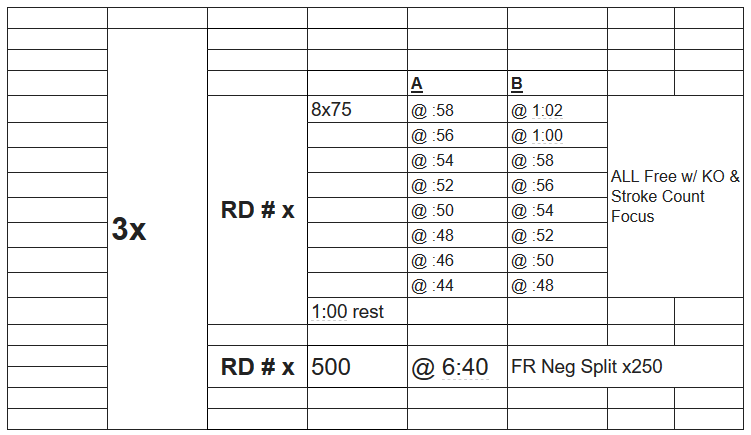 Full Spectrum Heart Rate Zone Set. Starts Aerobic and goes Anerobic Quickly. A Interval is a 1:17 descending to a :58 Pace. B Interval is a 1:22 pace descending to a 1:04 pace. The minute rest is to let everyone collect themselves and really nail the 500’s. This set really emphasizes front half speed, followed by a controlled back half effort. Those with the best attitudes will nail this set!! “Individual Technique” refers to specific stroke corrections that were highlighted in individual meetings with swimmers. 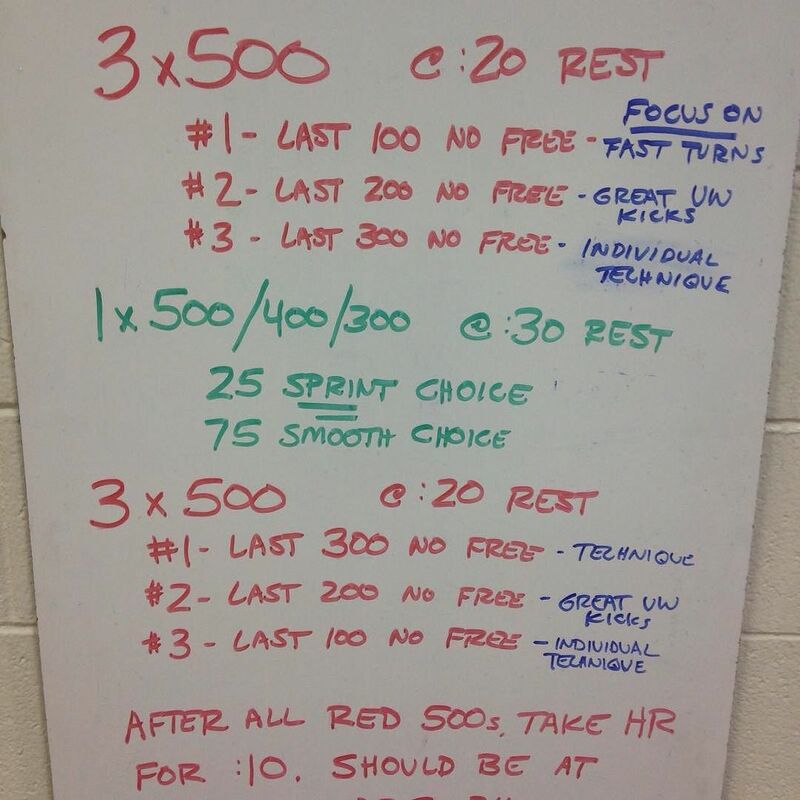 We were asking swimmers to have their 10-second HR at 20-24 beats after each 500. The green portion was for the A, B, and C interval groups to ensure that all completed the set at around the same time.